Mother Teresa’s relationship with God and her commitment to those she served—the poorest of the poor—is here powerfully explored in her own words. 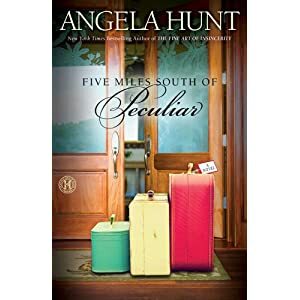 Taken largely from her private lessons to her sisters, published here for the first time, Where There is Love, There is God unveils her extraordinary faith in and surrender to God’s will. This book is in some way a sequel to Mother Teresa: Come Be My Light, in which her own very private spiritual struggles were explained. Sent to alleviate the sufferings of the poor, she assumed their struggles and pain in the depths of her heart. This led to particularly intense anguish which she lived through with heroic courage and fidelity over several decades. As important as this aspect of her life is, that remarkable testimony of her life and her words intensifies the need and desire to know more of her thought. There is much she can teach us as we face our daily struggles or sufferings, which can at times be unusually severe. 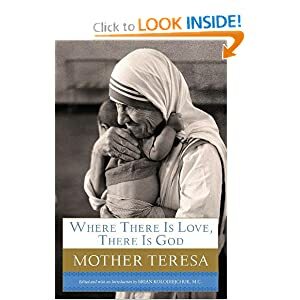 Where There is Love, There is God, though not an exhaustive anthology of Mother Teresa’s teaching, nonetheless shows what she believed and taught about important issues that confront all people. 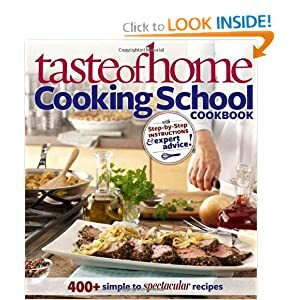 Due to her constant interaction with people of diverse backgrounds, no life situation was foreign to her and in this book her role is primarily one of teacher and guide. Love is perhaps the word that best summarizes Mother Teresa’s life and message. The title reflects what she proclaimed during her entire life: God is alive, present, and “still loves the world through you and through me”. Mother Teresa sought to be an extension of God’s heart and hands in the world of today. She was called to be a missionary of charity, a carrier of God’s love to each person she met, especially those most in need. Yet she did not think that this was a vocation uniquely hers; each person is in some way called to be a carrier of God’s love. Through the practical and timely advice she offers, Mother Teresa sets us on the path to closer union with God and greater love for our brothers and sisters. This book, which I received via the Blogging for Books program, has been on my dresser waiting to be read since before Christmas. In case you haven't noticed, I've been in kind of a reading/blogging funk. Tonight I picked it up and thought I'd start reading a biography of Mother Teresa. I soon found that it wasn't a biography but rather a collection of Mother Teresa's sayings and teachings. Generally when I write a DNF review, I'm saying a book isn't good enough to finish. 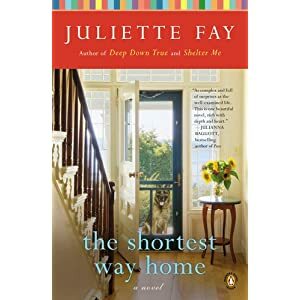 Today I'm writing a DNF review because it is going to take me a LONG time to finish this book, not because it is extraordinarily long but because it is extraordinarily full of things on which to reflect. I recommend this book as a prayer aid, as one to be read in small batches as a source for meditation, and that's what I am going to do. I'm going to leave you with the saying on Mother Teresa's "business card". May the peace of the Lord by always with you. 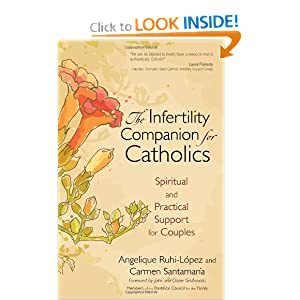 I wrote this review of Where There Is Love, There Is God for the free Catholic Book review program, created by Aquinas and More Catholic Goods. Aquinas and More is the largest on-line Catholic bookstore. I receive free product samples as compensation for writing reviews for Tiber River. She needs a liver transplant. But her doctors warn that, in her case, the chances of finding a compatible donor aren't good. Determined to spend whatever time she has left on her own terms, she keeps the diagnosis to herself and moves out to her late grandparents' farm. She's always wanted to live there. But the farm hasn't been worked in years and she begins to fear she can't manage it, that she'll have to return to town. He's an attractive and mysterious drifter by the name of Levi McCloud, and he offers to trade work for a few nights' shelter. Callie figures she doesn't have anything to lose. He needs a place to stay until he can fix his motorcycle; she needs an extra pair of hands. The arrangement seems ideal until what was supposed to be temporary starts to look more and more permanent. Then she realizes she does have something to lose-her heart. And, although he doesn't yet know it, Levi stands to lose even more. This is another story in the Whiskey Creek series. I reviewed When Snow Falls back in October and both books share the large cast of high school friends. Several of them get a lot of time in this book so I suspect we'll see them in future novels. One of the main supporting characters in this book is a closeted gay man who is secretly in love with his best friend--a friend who keeps telling the gay man about his (the friend's) heterosexual exploits. 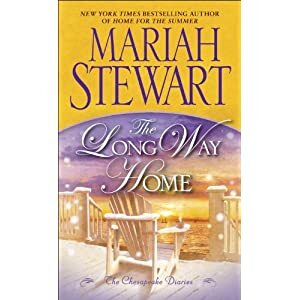 Other members of the gang include Cheyanne and Dylan from When Snow Falls, a close male friend with whom Callie "slept" a few times, and a woman whose life seems perfect (but who is abused). There is a country song about living like you are dying. Callie is dying, but hasn't told anyone. She is spending the summer (which she realizes may be her last) at her late grandparents' farm and one night opens the door to a strange man who is injured. Maybe knowing death was near made her more open to risks but I can't imagine a single woman living alone in the middle on nowhere doing that. Still, it does get them together and the story takes off from there. I liked both Callie and Levi and liked the way they looked out for each other. I found the large group of friends to be interesting. They live in a small town. They graduated from high school together and are now near 30 but they get together every week at a coffee shop. They call each other constantly. I don' know whether to be jealous or feel smothered. Physical intimacy happens early in Callie and Levi's relationship and while the reader certainly knows what is happening, it is not described in great detail. I enjoyed the story and will read the next book in the series. Thanks to the publisher for providing a review copy via NetGalley. Grade: B. As the only child of a wealthy investment manager, Ellie Chapman has never known anything besides a life of perfect privilege. But her years of good fortune come to an abrupt end when her father is exposed for swindling billions of dollars from innocent investors in a massive Ponzi scheme. And just like that, Ellie loses everything: money, job, home—even her fiancé, who’s jailed as her father’s partner in crime. With no job prospects on the horizon, no cash, and her family name in tatters, Ellie has only one place to go. Sleepy St. Dennis, Maryland, is hardly where Ellie intends to stay, however. 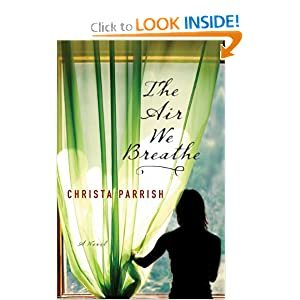 Keeping her identity a secret, she plans to sell the house her late mother left her in the small town and use the proceeds to move on with her life. Unfortunately, her ticket to a new beginning is in dire need of a laundry list of pricey improvements, many of which she’ll have to do herself. And until the house on Bay View Road is fit to be sold, the sole place Ellie will be traveling is the hardware store. 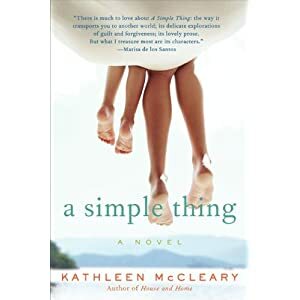 But as the many charms of St. Dennis—not to mention Cameron O’Connor, the handsome local contractor who has secrets of his own—begin to work their magic, what begins as a lesson in do-it-yourself renovations might just end up as Ellie’s very own rejuvenation. I enjoyed this story of love and healing, even if it was a bit on the unrealistic side. Ellie comes to St. Dennis because she has no where else to go (though she is smart, well-educated and has a close friend who has a lot of connections). When she gets there she meets Cameron who has been putting a lot of effort into keeping up a house that isn't his. I liked the fact that the two of them took some time to get to know each other; I didn't like the fact that they ended up in bed before marriage, or even before they were really serious. I liked the fact that they realized that overnight visits were not a good idea with a teenager in the house. While readers were told they were intimate, the act was not described in detail. 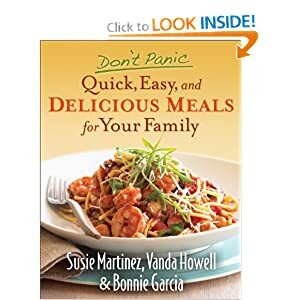 The book is part of a series though I did not realize it until I went to Amazon to get the photo and blurb for this review. The characters from the other books make brief appearances but I didn't feel overwhelmed by useless characters. However, Ellie's friend (who is single) discovers that Ellie's ancestor was a renowned painter who had many paintings in the house Ellie inherited. I'll bet we'll see her in a future book and I'm curious about what will happen to the paintings. Her gallery-owning friend is eager to show and sell them. 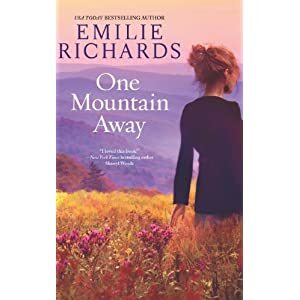 Ellie was eager for the money they'd bring, but now that she's decided to stay in St. Dennis, and has learned about her family, will she still want to sell? How will those paintings affect her relationship with her best friend? I feel left hanging about those questions, and I'm sure that was the author's intent. Another thing I didn't like was that one of the characters mentions speaking to one of Ellie's ancestors via a Ouija board. Another character saw this ancestor (or a ghost of her) in the house. I don't think those elements advanced the story and to me they were just creepy. I'd like to thank the publisher for making a review copy available via Edelweiss Galleys. Grade: B.
I have several posts this week. I mused about the transitory nature of life. 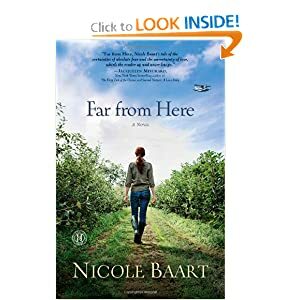 I reviewed a novel about a small town and a book about a foster child. Sometimes you really get a feel for the transitory nature of this life. As I've mentioned before, my normal habit lately has been to go to my dad's (1.5 hrs away) on Saturday night and take him to Mass and get him his supper. As such I've been seeing a lot of people I haven't seen in years--some folks with whom I went to high school or their parents. One couple I've seen frequently were parents of a classmate of mine and one of the "pillars" of my dad's parish. They were there last Saturday night. Sunday morning the husband died suddenly and unexpectedly. Tonight at mass the family was there and Father made mention of the fact that R had been at this mass last week and that we never know when a mass will be our last mass. Last week I also went to mass in my parish, something I'm not doing all so often anymore, since I'm going on Saturday nights with my dad. I was the lector and in our parish the lectors and the Extraordinary Ministers gather in the sacristy before mass. Mention was made of one of the "pillars" of our parish and that he had decided he'd had enough medical care and called hospice. A few days later I got an email saying he had died. I grew up across the country from extended family so great aunts and uncles and other folks who died were more acquaintances than beloved family members, and since we were so far away, we didn't go to the funerals. Since we've been together, my husband lost his Dad and I've lost my Mom. Lately we've gotten to the age where we are going to the funerals of friends' parents with some regularity. Still, being at St. Thomas again on a regular basis has, along with my daughter's impending high school graduation and planned move to college, really brought forth to me how life moves on. I'll see old schoolmates and note that they definitely look middle-aged now (and I do too). The old people who are dying off are my parent's generation, not my grandparents. I have classmates who are grandparents (and honestly, I'm old enough to be my youngest child's grandmother). Well, it was a digital galley; I didn't have to finish it, but I did, so it couldn't have been too bad. On the other hand it wasn't all that great either. Basically I found it very busy. There were a bunch of "main" characters, each of whom had a supporting cast, and while some of the casts overlapped, many didn't. By the Thanksgiving dinner at the end where they all came together, I didn't really feel I knew the characters much better than I did when they were first introduced. 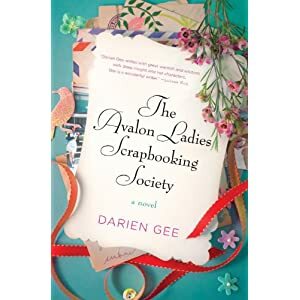 At first I wondered if this was going to be like Debbie Macomber's yarn shop books, but all these stories seemed to have endings, which isn't say the endings were so final other books wouldn't be possible, but I don't get the impression there is more to come, and even if there is, I won't be reading them. Sorry, this one only gets a C+. Eight-year-old Aimee was on the child protection register at birth. Her school repeatedly reported concerns about her bruises. And her five older half-siblings were taken into care many years ago. So no one can understand why she was left at home to suffer for so long. It seems Aimee was the forgotten child. The social services are looking for a very experienced foster carer to look after Aimee and, when she reads the referral, Cathy understands why. 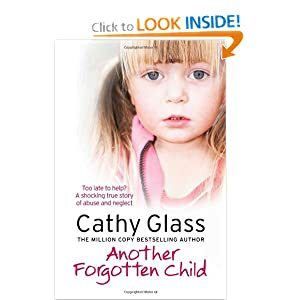 Despite her reservations, Cathy agrees to Aimee on – there is something about her that reminds Cathy of Jodie (the subject of ‘Damaged’ and the most disturbed child Cathy has cared for), and reading the report instantly tugs at her heart strings. When she arrives, Aimee is angry. And she has every right to be. She has spent the first eight years of her life living with her drug-dependent mother in a flat that the social worker described as ‘not fit for human habitation’. Aimee is so grateful as she snuggles into her bed at Cathy’s house on the first night that it brings Cathy to tears. Aimee’s aggressive mother is constantly causing trouble at contact, and makes sweeping allegations against Cathy and her family in front of her daughter as well. It is a trying time for Cathy, and it makes it difficult for Aimee to settle. But as Aimee begins to trust Cathy, she starts to open up. And the more Cathy learns about Aimee’s life before she came into care, the more horrified she becomes. I enjoyed this heartwarming and yet heartbreaking story. Throughout the book we see the contrast between the life Cathy tries to provide and the life Aimee has lived. We see the contrast between Cathy's competency and the incompetency of both the social service system and Aimee's birth mother. If I had one criticism of the book it is that Cathy came across as too perfect. She never got mad, always got Aimee to do what she wanted, and had beautiful children. Cathy is English and uses English spelling. 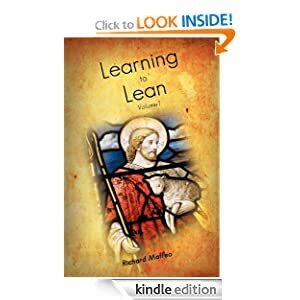 My only review this week is of Learning to Lean, a book of reflections by Rich Maffeo, who sometimes joins us for Sunday Snippets. What might it be like to meet our God on that first day in heaven? Does Jesus walk with me along my journey? Will He still be with me in my graying years? What might the Centurion have felt as he hammered the placard above Jesus’ head? Why do people of faith suffer? What can wash away my many sins? What if it had been me lashed to the whipping post, instead of Christ? What does obedience to Jesus look like? Learning to Lean is a collection of contemplations born out of Richard Maffeo’s maturing devotion to the Sacred Heart of Jesus. Within these pages Richard reflects on the storms of life, the travails of faith, and the relationship Jesus wants to have with each of us through them all. Join him in this first contemplative volume. Discover what the Holy Spirit may do with your own relationship with Christ. I enjoyed this book of short reflections. The author, Rich Maffeo is a semi-regular on Sunday Snippets and you can get an idea of his writing style by reading his blog, The Contemplative Catholic Convert or by clicking on the Amazon link above and "looking inside" the book. I found the reflections to be both gentle and challenging--while they didn't scold me for doing wrong, they certainly encouraged me to look at where change is needed and to move in that direction. 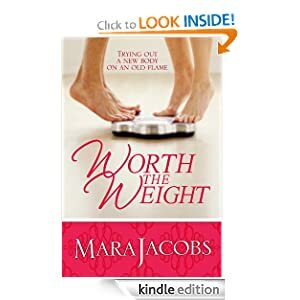 The Kindle edition is only $0.99 and it is well worth that. Jesus of Nazareth: The Infancy Narratives by Pope Benedict XVI. Need I say more? New York Times Bestseller! The momentous third and final volume in the Pope’s international bestselling Jesus of Nazareth series, detailing how the stories of Jesus’ infancy and childhood are as relevant today as they were two thousand years ago. 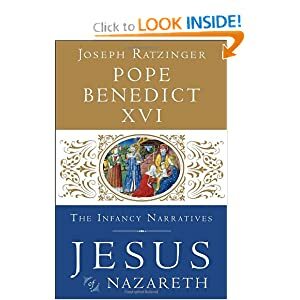 In 2007, Joseph Ratzinger published his first book as Pope Benedict XVI in order “to make known the figure and message of Jesus.” Now, the Pope focuses exclusively on the Gospel accounts of Jesus’ life as a child. 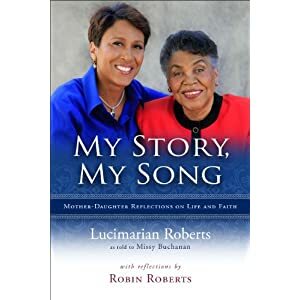 The root of these stories is the experience of hope found in the birth of Jesus and the affirmations of surrender and service embodied in his parents, Joseph and Mary. This is a story of longing and seeking, as demonstrated by the Magi searching for the redemption offered by the birth of a new king. It is a story of sacrifice and trusting completely in the wisdom of God as seen in the faith of Simeon, the just and devout man of Jerusalem, when he is in the presence of the Christ child. Ultimately, Jesus’ life and message is a story for today, one that speaks to the restlessness of the human heart searching for the sole truth which alone leads to profound joy. It took me a while to finish, but I really enjoyed this little book. It wasn't a hard book to read, but rather one that had so much to think about that I would read a small section and think about it. The Holy Father starts by taking a look at what the Gospel of John as to say about the question "Where are you from?" and looks at the genealogies in the other Gospels. From there he takes us through the familiar Christmas stories and points out the deeper meanings and gives some side information to help us more fully understand the stories. One story I've never quite "gotten" is Finding Jesus in the temple. It has always struck me as a twelve year old doing what he wanted to do without really thinking about the consequences or other people's feelings. I've always considered the story to be a pretty good indication of Jesus' humanity. I'm not not a theologian, obviously. Things about the story that the Pope pointed out were that Jesus' family was devout (they went to the temple and thereby observed the law), that the regular pilgrimages to the temple reinforced Israel's identity as a pilgrim people, that the three days He was missing pre-figured the three days in the tomb, that Jesus claimed God as his father (as opposed to Joseph) and of course, that Mary kept those things in her heart. Pope Benedict says the actual theological content the story is meant to convey is the link between radical newness and radical faithfulness, rooted in Jesus' sonship. This one is going on my bookshelf to be re-read next Christmas. Grade: A.
Seventeen-year-old Molly Fisk does not go outside. She's ruled by anxiety and only feels safe in the tiny tourist-town museum she and her mother run and call home. Yearning to live free but unable to overcome deep wounds from her past, she stays hidden away. Then the chance arrival of a woman Molly knew six years ago changes everything. Six years ago, newly single Claire Rodriguez was an empty shell. 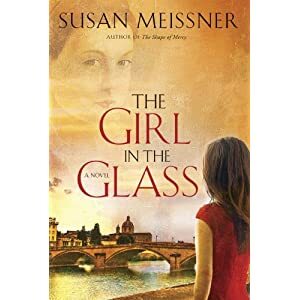 Only in the unique friendship she strikes up with a young girl--a silent girl who'll only talk to Claire--does she see the possibility of healing. But one day the girl and her mother vanish, their house abandoned. What happened that drove them away? And how can Claire now offer Molly the same chance at finding a life anew? Sometimes you are in the wrong place at the wrong time, and I'm going to be grown-up enough to admit that may be what happened to this book. I just finished another book (which will be reviewed in February) that had what I considered gratuitous anti-Catholicism and I only knocked it down a couple of notches for it; this one I'm giving up on after 50 pages. Probably had I read it first, the rankings would be reversed. In short, for apparently no reason (and perhaps there is a reason that would become apparent if I read the whole book) one of the teen characters mentions to another that his family is Catholic and just doesn't get him, the good Bible-reading Baptist that he is. Why does Christa Parrish make his family Catholic? Somehow I doubt this book is about him returning to the faith of his birth, or about him bringing her to Catholicism. If the publisher or author wants to tell me I'm wrong about this, I'll be glad to finish the book at that point. I' d like to thank the publisher for providing a review copy. It should be obvious that I am not obligated to write a positive review. Lizzie Hampton is literally a shadow of her former self. Having lost half her body weight, she's headed to her small hometown to test out her new body on an old flame. Just a harmless fling to get her self confidence back before she returns to the city and the new man in her life. But Lizzie's plan has a few bumps in the road. Finn Robbins can't believe Liz is back in town. Desperate to be the holder of her innocence eighteen years ago, he never got the chance. Now she's back and he can finally check her off his to do list. But her friends, his son, and the mysterious Annie may have something to say about that. 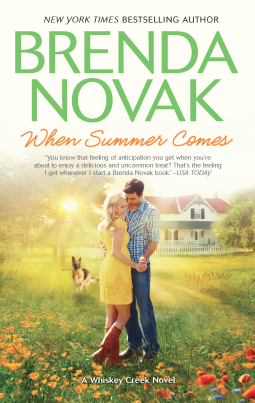 The first book in a contemporary romance series which takes place in Michigan's Copper Country. As my regular readers know, I'm a fan of sophisticated, highly complicated, classic literature (ok maybe not). However, my reading for the last few weeks has been even lighter that normal. I've been reading a bunch of dreadful Kindle freebies which are absolutely not worth the trouble of reviewing. Suffice to say, that they were worth what I paid for them, except that I kept reading them, probably because they were so predictable, so easy, and nothing I'd want to put here. Yea, I'm a little burned out on reviewing. Worth the Weight held my interest for more than a quick skim. I found myself engrossed in this reunion of first loves. She lives in the city now, and owns a successful business. As noted above, she's just lost a lot of weight and now wants a "normal" romantic life. He lives in the small town in which they grew up, is a farmer and single father to two kids. Both had to learn to accept themselves and the choices they had made in life. Both had close friends and families in their corner. All in all, a really good story. Like many Amazon cheapies (still free as of this writing, $0.99 normal price) it has a few typos, but writing is better than I expected. There are quite a few intimate scenes, they happen outside of marriage and they are on the explict side. Grade: B.
Treasure this beautiful collection packed with all the angst of romance founded upon practical arrangements. Four sisters travel in answer to an ad before even corresponding with potential husbands. Two women bend to the will of their parents in taking husbands. A widow commits to a stranger in name only. And two women on the Oregon Trail hitch their lives to men they’ve just met. Will love blossom for convenience sake? Mail order brides have fascinated me. I wonder what it was like to travel halfway across the country, far away from all you knew, knowing full well that you weren't going to drive "home" on summer vacation, to meet an marry a man who had to put an ad in the paper for a bride. I suppose the answer for most of those women is that it was better than the alternative they had at home. This collection of nine stories was very religious Christian fiction. These couples all read the Bible, prayed, quoted scripture and otherwise showed that faith was important. Honestly, I found it all a bit over-the-top. Who were these couples? One was a Cajun couple from Louisiana. His parents had raised her after her parents died. His first love spurned him for another. His parents decided they would marry. The second married her best friend's brother after meeting him only briefly. 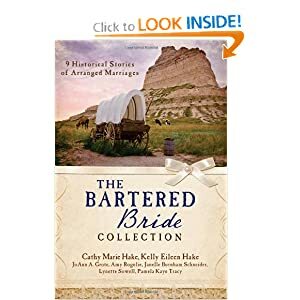 The next four were sisters whose brother-in-law sent them west when he confused an order for bridles with an order for bridals. Nevertheless, two of them married into the family that "ordered" them; the other two found husbands in the same town. Another didn't realize she was being sent as a bride, but thought she had accepted a job as a housekeeper. The final one married the fiancee her sister jilted to save their father from financial ruin. Only one post this week-a recap of last year both in books and personally. I will have book reviews next week, I think. I'm almost finished with the Pope's book on Christmas and I'm starting to want to read something worth reviewing. As far as my non-blogging life; it's been an interesting year. 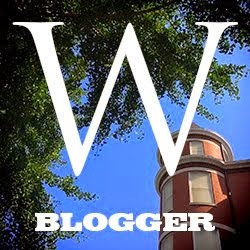 I spent March in Lexington, Kentucky working on a criminal trial. Unfortunately for our client, we lost. However, I enjoyed getting to see another part of the country and even got to see snow. In July my family took a cruise to Progresso and Cozumel Mexico so I got to go somewhere else I'd never been and see (as much as you can in a few hour shore excursion) another country. In the fall my father's health took a turn for the worst and we had to get help lined up for him. I started a regular routine of taking him to Mass most Saturdays. It gives my brother (who lives behind him) a break, gives me a chance to keep an eye on things and I think Dad likes to see me too. It ends up being a six hours excursion so that has cut into my reading time. I'm still leading my youngest daughter's Girl Scout Brownie troop. They are a fun group of girls who keep me on my toes. I've started serving on our parish school board as well. The jury is still out on that activity. My kids are getting bigger all the time. My son is in a pre-vocational program through a local school for the handicapped. Hopefully he'll move into paid employment soon. I've seen a real change in his ability to accept responsibility and follow directions he'd rather not do. My older daughter will graduate from high school in May. She's chosen Northwestern Louisiana State University--Fork 'em Demons!--and we hoping a scholarship offer arrives soon. The youngest is in third grade and she still likes being Mom's assistant for cooking projects or other blog reviews.